Dr. Vint Virga likes to arrive at a zoo several hours before it opens, when the sun is still in the trees and the lanes are quiet and the trash cans empty. Many of the animals haven’t yet slipped into their afternoon ma­laise, when they retreat, appearing to wait out the heat and the visitors and not do much of anything. Virga likes to creep to the edge of their enclosures and watch. He chooses a spot and tries not to vary it, he says, “to give the animals a sense of control.” Sometimes he watches an animal for hours, hardly moving. That’s because what to an average zoo visitor looks like frolicking or restlessness or even boredom looks to Virga like a lot more — looks, in fact, like a veritable Russian novel of truculence, joy, sociability, horniness, ire, protectiveness, deference, melancholy and even humor. The ability to interpret animal behavior, Virga says, is a function of temperament, curiosity and, mostly, decades of practice. It is not, it turns out, especially easy. Do you know what it means when an elephant lowers her head and folds her trunk underneath it? Or when a zebra wuffles, softly blowing air between her lips; or when a colobus monkey snuffles, sounding a little like a hog rooting in the mud; or when a red fox screams, sounding disconcertingly like an infant; or when red fox kits chatter at one another; or when an African wild dog licks and nibbles at the lips of another; or when a California sea lion resting on the water’s surface stretches a fore flipper and one or both rear flippers in the air, like a synchronized swimmer; or when a hippopotamus “dung showers” by defecating while rapidly flapping its tail? Virga knows, because it is his job to know. He is a behaviorist, and what he does, expressed plainly, is see into the inner lives of animals. The profession is an odd one: It is largely unregulated, and declaring that you are an expert is sometimes enough to be taken for one. Most behaviorists are former animal trainers; some come from other fields entirely. Virga happens to be a veterinarian, very likely the only one in the country whose full-time job is tending to the psychological welfare of animals in captivity. He works with zoos across the United States and in Europe, and like most mental-health professionals, he believes that his patients possess unique personalities and vibrant emotional lives. His recent book is titled “The Soul of All Living Creatures.” What all of this means is that Virga, a man trained in the scientific method, has embraced notions that until recently were viewed in the scientific community as at best controversial, and at worst nonsense. It is not the habit of researchers to speculate broadly about the implications of their work; even groundbreaking studies tend to light up grottoes of data without revealing an overall vista. “We’re on the same page in general, but not at all on the specifics,” said Panksepp, who was a signatory of the declaration. “As far as science is concerned, animal thought remains at the argumentative level.” Low readily admits that scientists have not even been able to agree on a working definition of consciousness. “When we were discussing the declaration, we agreed to shelve that issue for the time being,” he told me. Though he follows the research, Virga, 56, is not a researcher; his convictions about animal individuality predate the recent science. And while the hypotheses and theories about animal cognition are fascinating to consider, they aren’t always germane to a behaviorist crouching behind a barn door amid a row of trash cans while being charged by a 700-pound takin — a hirsute Tibetan goat-antelope with a not-trivial set of horns — named Chopper. 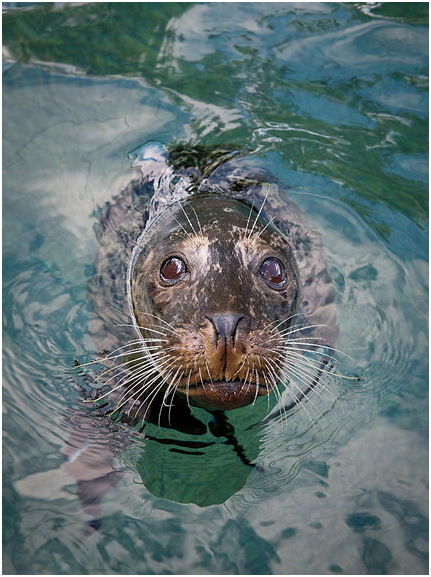 Last summer, I visited Roger Williams Park Zoo in Providence, R.I., where Virga was about to begin his rounds. He lives nearby and has worked with the zoo for six years. On my first visit there, Virga and I found ourselves in the middle of a good-size commotion; it looked as though someone had activated a fire alarm audible only to zoo employees. Keepers and other assorted personnel darted down the lanes with a look of disquiet. When Virga flagged one down, it turned out that the cause was an Asian elephant named Alice. “You haven’t heard?” a keeper asked breathlessly. “Alice is blocked.” He stressed the last word by scrunching his forehead. (Then, after seeing the press tag around my neck, he added, “But that’s probably off the record.”) Alice was constipated, and the man brought us up to speed on how the elephant’s keepers and a veterinarian had spent hours administering enemas and Gatorade. Here is the thing about people who work at zoos, by which I mean the people who actually work with animals. Nearly to a one, they like animals, and dote on them, and enjoy their company to an almost unseemly degree. Animal keepers are, as a rule, underpaid and work long and sometimes unpredictable hours. The job tends not to be one that people fall into. To be a keeper, you pretty much have to be aflame with a desire to do it and possess an attraction to animals that is probably inborn. Without it, it would be difficult to enjoy extracting treats from a log of horse meat, or manually probing the clammy underside of a 120-pound giant anteater for lumps, or having a crouton-size chunk of your thigh pecked out by an African king vulture named Nubs with serious boundary issues, a nonstandard number of toes and the exact facial coloring of the ’80s hair-metal frontman Dee Snider. Plus there’s the cleaning of animal “waste,” mountains of it, most just as rank as ours. But can improved conditions justify captivity? 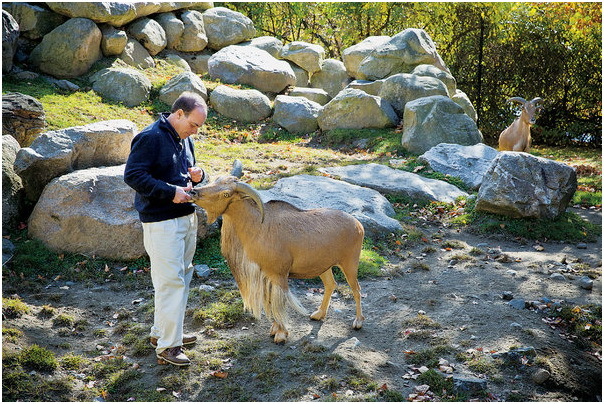 One case study turned out to be Virga’s patient Molly, an aoudad, more commonly known as a Barbary sheep. I met her in the enclosed, hay-carpeted barn where she spends nights; she sniffed at me cautiously and then bleated an abrupt greeting, or maybe it was a warning. She had a short tawny coat, a dickey of shaggy hair and horns roughly the size and shape of large plantains. Molly had been a typical 7-year-old when she suddenly lost the use of her tail, a short, tasseled appendage aoudads use to signal danger and bat away insects. No one was sure about the cause of the injury — a likely theory was that another animal had butted Molly with its horns. The area under her immobile tail became vulnerable to infection, and before long the zoo staff made the decision to amputate. Shortly after, Molly began to exhibit increasingly alarming behaviors: She grew agitated and twitchy, her coat rippled seemingly on its own, she began to confine herself to three spots in the exhibit and she became frantic when even a single fly buzzed near her. In the absence of insects, she stood scanning the air for them, no longer interested in interacting with the other aoudads. According to her main keeper, Amanda Markley, “she wouldn’t even let her best friend Bonnie around her.” And she fought with another aoudad named Libby, though, as Markley is quick to point out, “Libby can be kind of a jerk.” More distressing, Molly refused to go inside the barn and wouldn’t allow Markley or the other keepers to touch her. Virga watched Molly for days, shot video of her with his tablet and spent nights replaying the footage on the large monitor in his study. The initial plan was to direct her attention elsewhere, tempting her with a gallery of items irresistible to most Barbary sheep: paper bags filled with hay, logs, leaves on a branch, a mud hole, cinnamon, endless treats. Molly ignored every overture. Virga tried to habituate her to the flies and desensitize her to her keepers’ proximity, throwing grain in her bucket as a reward when she grew calm, but the changes were too incremental for his liking. Molly stood scanning the air for nonexistent insects, dashing between her spots and running away whenever anyone approached. She became uninterested even in food. What troubled Virga was that he hadn’t been able to interrupt her behaviors, which signaled to him that Molly was experiencing something beyond ordinary fear. “Fears can be unlearned, but phobias can’t,” he said. “Conditioning won’t work on a phobic animal.” Virga had already shown me videos of severe psychic suffering at zoos. In one, a brown bear in the throes of obsessive-compulsive disorder takes three paces forward, rotates its head counterclockwise, slams it into a metal door, takes three paces back and repeats the pattern over and over. So, reluctantly, Virga did what thousands of mental-health professionals have done before — he prescribed Prozac. Within weeks, Molly began a gradual return to her preinjury self. She began to eat more and allowed herself to be led into the barn. She fought less and began to pal around with Bonnie. Insects still sometimes made her frantic, but she no longer stood looking for them when they weren’t there. Virga repeated his efforts to redirect her attention away from the sources of her anxiety; this time, aided by the medication, she showed a more robust response. After months of working with Molly, and with much reinforcement and coaxing, Virga and Markley managed to ease her back into the flock with Bonnie, Henrietta, Micaela, Libby and Michelle. Virga uses medication as a last resort. (Molly remains on Prozac, albeit a lower dose.) I asked him whether Molly’s distress didn’t, in a way, confirm her intelligence. In scanning for flies when there were none, Molly wasn’t responding to a stimulus. Instead, I wondered out loud, wasn’t she remembering insects from her past and anticipating them in her future, thereby demonstrating her capacity for memory and prediction? Virga grinned and nodded. Virga is short and solid, and something about his rounded shoulders, low center of gravity and root-beer-colored eyes conjures a prairie dog or a woodchuck. When he smiles, which is often, his face becomes a mask of wonderment, like that of an amazed and delighted child, and when he speaks, his voice often takes on the tone of someone speaking the first lines of a fairy tale. The only time I saw him register sharp displeasure was one day when we visited a closed-off area behind the snow-leopard exhibit, where the animals spend nights and interact with keepers and vets. A keeper was training a juvenile snow leopard named Sabu to sidle up to the bars and present its flank for an injection. Over and over, he prodded the large silver cat in the side with a wooden dowel, a stand-in for a syringe, and then tossed it a grape. Sabu put up with it but looked confused. As Virga watched, his face grew pained, then flushed with anger, then relaxed into a neutral expression. He told the keeper that he was giving the leopard conflicting messages. First, he explained, Sabu should grow comfortable with leaning against the bars — so he could retain a sense of control and the ability to back away — and only later become habituated to the poke. Virga delivered this correction in his molasses voice and reassuring slow cadences, and the keeper, a far larger man in a baseball cap, was soon nodding and joking. parents named him after Vint Bonner, the good guy on the TV western “The Restless Gun,” and when he was growing up in the suburbs of San Diego in the ’60s, his favorite pastime was hanging around some nearby stables that offered trail rides. Later, he got a summer job at the Scripps Institution of Oceanography, where he helped take care of sea lions, and on weekends, he went on long hikes with his sheltie. Mostly, Virga enjoyed being alone in nature, or with animals. “They understood me better than my family,” he says. “I was shy and had a hard time figuring out what to say to people, so at parties I would gravitate toward the cat or dog. I still do.” By the time he got to college, at the University of California, Davis, he was spending so much time around animals that the administrator at the animal-science department offered to let him live in the horse barn. When he entered veterinary school in 1983, animal behavior was considered so marginal that most schools didn’t teach it. After graduating, Virga found a job at an animal clinic in Roseburg, Ore. He sewed up horses at night by the light of a flashlight, performed C-sections on cattle in fields with flies buzzing around him and logged hundreds of spays and neuters. It was in Oregon that he had the first of what he describes as his two epiphanies, while treating a flat-coated retriever named Pongo. His owners, an elderly professor and his wife, took him to the clinic on a rainy night after the 2-year-old dog was hit by a car. 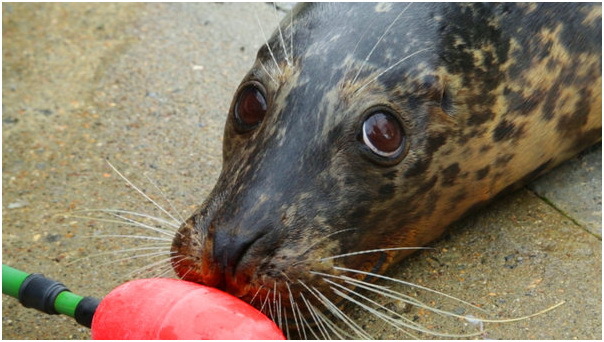 Pongo was in shock, and despite administering medication and an IV, Virga couldn’t stabilize the patient — his pulse was weak, his eyes unfocused and his breathing ragged and labored. The dog was dying. Virga looked in on him at 3 a.m., after a busy emergency-room shift was over and the clinic had finally gone quiet. If anything, Pongo’s condition had worsened. Resigned, Virga sat on the floor beside him; he filled out medical records while leaving his other hand draped loosely around the dog. Virga was exhausted and engrossed in the paperwork, and an hour passed before he noticed that Pongo’s pulse had grown stronger and movement was returning to his body. By the time the sun had come up, Pongo was nuzzling in Virga’s lap and licking his hand. His second epiphany happened at an East Coast zoo where he was a resident (zoo directors occupy a close-knit world, and Virga spoke to me on the condition that I wouldn’t identify certain zoos or animals). He was working with a 16-year-old clouded leopard — an arboreal felid somewhere in size between a lynx and a bobcat, with a spectacularly large tail. The case occupied him for months. 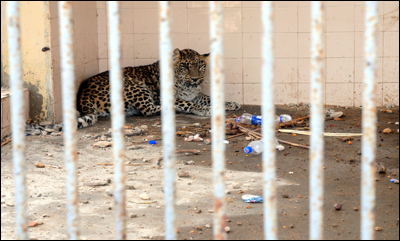 An elderly animal at her third zoo, the leopard was occupying a 12-foot-by-24-foot space surrounded by concrete and glass. It contained little except a dead eucalyptus tree and a jungle mural lit by spotlights. Some time earlier, the leopard’s mate died, and she had licked her majestic tail bald. She perched on the branch of the dead tree and stared ahead with a vacant, faraway expression. All the attempts to interest her in her environment — a muntjac deer hide, a chunk of ice with horse blood and meat inside it, a pile of bamboo leaves spotted with spices — elicited no reaction. Clouded leopards are among the most solitary of the large cats, ranging among the trees of Nepal, Sumatra and coastal areas along the South China Sea, and they often have difficulty adapting to the public, cramped conditions of a zoo exhibit. Virga watched the leopard for hours at a time, but her eyes came alive only momentarily. The remainder of the day she spent perched on her branch, staring into the middle distance, and no treat or diversion engaged her. Virga could find nothing obviously wrong — she was in seemingly fine health. “I sat there for hours, looking for signs and videotaping,” Virga told me. “I realized finally that at some point, she had lost all interest in her world because it offered her nothing to do or to explore. You could say that she was suffering from severe clinical depression; another way to say it is that she had lost her will to live.” Virga never managed to help her. “It just tore me apart,” he says. “I was a lowly resident, and no one there was inclined to listen to what I thought.” The case made Virga determined to do what he could for zoo animals. He could not find a zoo that was looking to hire a behaviorist, so he began to volunteer, eventually leaving his private practice and working with captive animals as a paid consultant. Virga still feels apprehensive when visiting an unfamiliar zoo. But several months ago, I asked him to come with me to a large zoo in a mid-Atlantic city; I wanted to see the exhibits through his eyes. Like many American zoos, it was in the midst of a transition from old-fashioned habitats — the polar bear’s was little more than a concrete amphitheater with a moat, and the animal lay on its back, motionless — to more considered ones. The brown bears nearby were playing in a swimming hole; one was chewing on a branch. They were surrounded by trees and had places to climb and even a section where they could be out of view. (Virga thinks the last part is especially important. “How would you feel,” he asked me once, “if your one-room apartment had a huge picture window, and all day strangers stood outside of it, looking in?”) He thought the brown-bear exhibit was one of the best he’d seen. After listening for a while to the cries of peacocks and scrutinizing the African-wild-dog habitat (“even tracks indicate pacing, and dogs pace when they’re bored,” Virga explained), we found ourselves in front of two black panthers sitting on a bleached, horizontal tree trunk. They were enclosed on the long sides by glass, like a lab slide, in a space smaller than an average studio apartment in Manhattan. The panthers looked at us with their green eyes. Their sleek bodies were contracted, and their expressions wan. They didn’t move. In the famous poem about watching a caged panther at a zoo, Rilke wrote, “A mighty will stands paralyzed.” That about covered it. Virga watched the panthers for maybe 20 minutes. “This is the worst thing I’ve seen in a long time,” he said finally, then turned away, wiped his eyes with his hand and motioned for us to go. Virga claims he doesn’t play favorites, but he enjoys spending time with BaHee, an 11-year-old gibbon at Roger Williams, an awful lot. As zoo animals go, BaHee is something of a showman. One of his signature moves is to place his hand against the hand of a visitor who touches the other side of the plexiglass window in his exhibit. He also likes to show his prodigious arm span by doing the trick with both hands. BaHee seems to genuinely enjoy contact with visitors and staff members, and in their presence he bounds along the fence and makes faces. His delicate, black, hypermobile features are prone to a kind of knowing grin: No one has determined whether gibbons experience irony, but I wondered. Virga began working with BaHee after Gloria, the female gibbon who shared his habitat, left. BaHee and Gloria were quite the (platonic) couple: His fur was black, hers was buff, and she played a chiding matronly figure to his teenage brat. Though BaHee liked to antagonize Gloria from time to time, making her swat at him when he became annoying, they groomed each other and liked to trade creaky calls — his drawn out, hers short. (“BaHee sounded like he needed oil,” said Kelly Froio, his primary keeper.) The two small apes shared their space for three years in mostly affectionate equipoise. Several staff members at Roger Williams told me, privately, that they felt uncomfortable talking about what their animals felt, especially in front of supervisors, though they were convinced that their animals experienced thoughts and emotions. At its worst, anthropomorphism, the fallacy of attributing human characteristics to nonhumans, leads us to imbue animals with our perceptions and motives, reducing the worldview of another species to a bush-league version of our own. The bias against animal sentience is hardly recent. Descartes famously wrote that “the reason why animals do not speak as we do is not that they lack the organs but that they have no thoughts.” Spinoza claimed that human reluctance to slaughter animals is “founded rather on vain superstition and womanish pity than on sound reason.” The notion of animals as unthinking automatons has enjoyed curious staying power; one form it has taken is a tendency to study animal behavior to the exclusion of thoughts and feelings. 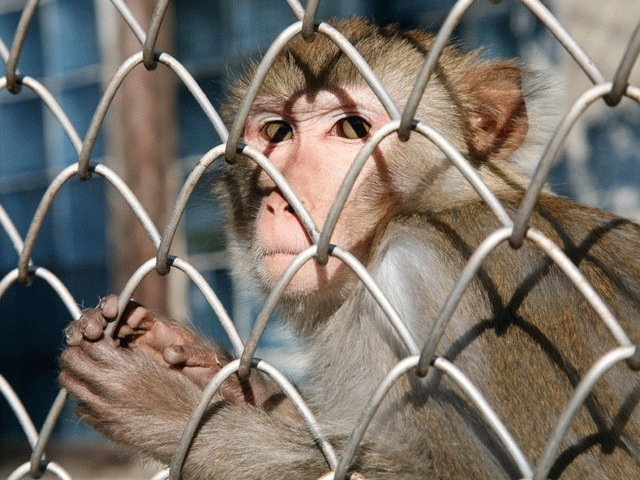 The Oxford Companion to Animal Behaviour, a longstanding reference, cautions behaviorists that “one is well advised to study the behaviour, rather than attempting to get at any underlying emotion.” For Philip Low, the Cambridge Declaration was aimed directly at the Cartesian prejudice against nonhumans. “The term ‘animal’ is simply an excuse not to look at something,” Low argues, citing eugenics, phrenology and “scientific” racism as byproducts of the tendency to elevate humans — especially certain humans — over other beings. Some scientists have criticized Low for not consulting with more colleagues before issuing the declaration. “Whom did Descartes consult before making his declaration?” Low asked me. If you’re already feeling irritable, watching people at a zoo may not improve your mood. And it is sobering to imagine them from the perspective of the animals. During a trip Virga and I took to Central Park Zoo, a boy stood by the side of an aquarium, pointing, and yelled “SEA WIONS!” approximately 37 times in a row. A middle-aged nanny tried to get the attention of an otherwise-engaged macaque by ululating at it repeatedly, while the toddler in her charge, for whose amusement this was being done, peered insensibly at some bushes. There are, as well, regular ringside child-care meltdowns of varying explosiveness, and hives of elementary-school students who, behaviorally speaking, stand around hollering at one another until they’re herded to the next exhibit. On our way out, Virga and I watched a man in burgundy chinos and Tevas charge a red panda with Kenyan-marathoner­ velocity and nearly bayonet the animal with a camcorder-and-zoom-lens combo of early-microwave-oven dimensions. I saw the fallout of such photographic harassment when I visited Sukari, a 21-year-old Masai giraffe at Roger Williams who had developed a fear of men with large cameras. Weeks before she was bolting at the sight of a zoom, Sukari began refusing meals. “Some days she would eat, others she wouldn’t, and she got picky about her food,” said Rachel McClung, one of Sukari’s keepers. “And then there was the licking.” Sukari stood licking at her lips, oblivious to the other giraffes, who began to shy away from her. For hours at a time, she licked steel cables. She licked unremarkable white walls. She licked gates. Sukari, a Southerner might say, had an old-fashioned going-to-pieces. Over the course of a few months, her weight dropped from 1,850 pounds to about 1,600. To make matters worse, she also began to avoid men in hats and trench coats, and after a while, she wanted no part of the public side of the yard. Licking in giraffes, Virga explained, is often a sign of what behaviorists call a stereotypy: a repetitive or ritualized activity brought on by frustration or confinement, similar to when an impatient person jiggles his or her leg. But Sukari’s licking was too sudden, too unremitting, and Virga suspected an underlying medical cause. Zoo vets examined her mouth, suspecting an abscess or an oral lesion, but nothing appeared to be amiss. One vet suggested colic, so Sukari was given antacids and painkillers, until colic was ruled out. Neither Virga nor the zoo’s two staff vets could find anything medically the matter with Sukari. “With animals, we often don’t know the reason for a behavior,” Virga said. “And searching for a cause can be a circular, time-consuming trap. The important thing is treating the symptoms.” Virga spent entire afternoons with Sukari, trying to get her to eat by offering different kinds of hay — pellets and cubes of timothy and alfalfa. He eased her closer to visitors and rewarded her each time with browse (leafy branches), her favorite food. Often he simply spent time with the giraffe and waited, remembering the lesson of Pongo: that the relationship itself was sometimes the best medicine. Gradually, Sukari began to improve. Her weight rose, and the licking dropped off. Virga knew that he wasn’t likely to cure her — she had been prone to stereotypy and anxiety throughout her life. It was her nature, he reasoned, just as there are people who are prone to anxiety. Yet the giraffe’s fear of cameras, and the remaining symptoms, continued to fade. To feed Sukari, I had to walk up a steep staircase to a metal landing, just to be level with her head. Following McClung’s instructions, I offered her a branch covered with dagger-shaped leaves, and she licked it clean with her impressively long, pale tongue, almost inhaling the greenery. One of her huge umber eyes regarded me. Standing eye to eye with a giraffe is weirdly peaceful. The creature is so unlike us in its particulars and scale, yet so deliberate in its design. It’s comforting not to be at the center of creation. Sukari chewed the leaves gamely, working her jaws with real gourmandise. And then her eye strayed toward the ceiling, and she quit chewing and slightly turned her head. No sound or movement had distracted her. For a span of some seconds, her eyes grew unfocused and rested upon no tangible object, and an expression crossed her distracted face that could only be a passing thought. Or so it looked to me. Before wrapping up that visit to Roger Williams, I looked in on Molly, the Barbary sheep. She happened to be standing on a rock, her posture vigilant, her horns back, looking like the proud mascot of a hedge fund. Just then a group of visitors, young teenagers with Down syndrome, wandered into the exhibit. There were five or six, holding jumbo sodas. The adult with them patiently explained about aoudads, and the teenagers, silenced by Molly’s proximity, looked at the animal with remarkable seriousness. Molly looked back. “What is it thinking?” a girl in blue asked, but the adult didn’t answer. Everyone stood looking, the teenagers at the aoudad and the aoudad at the teenagers, until Molly hopped down from the rock and darted away. Alex Halberstadt is the author of the coming family memoir “Young Heroes of the Soviet Union.” He last wrote for the magazine about the spice blender Lior Lev Sercarz.